Pepperdine aims to renew, refresh a cappella singing (reporting from Malibu, Calif.). Second Front. MALIBU, Calif. – This sun-drenched city on the Pacific coastline is known for sandy beaches, surfboards and stargazing — Hollywood style. It was singing, though, that drew an estimated 500 music composers, choral directors, choir members, biblical scholars and ordinary church members to Pepperdine University for a recent four-day conference. 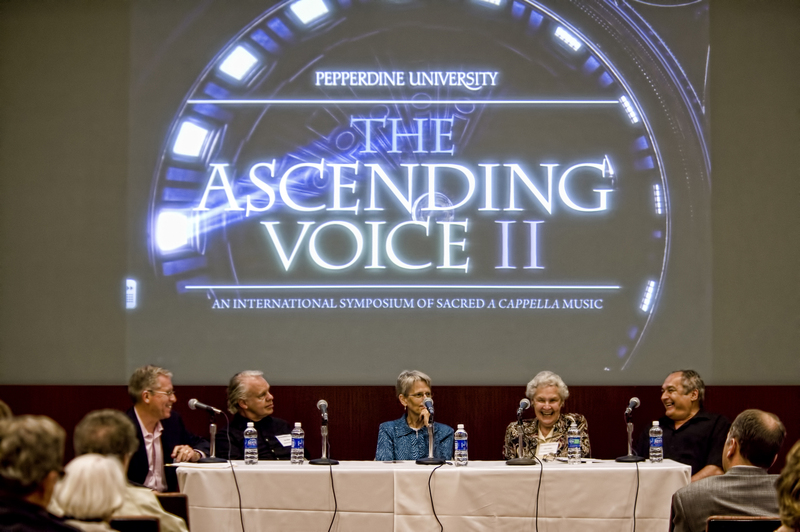 “The Ascending Voice II,” an international symposium of sacred a cappella music, involved members of Churches of Christ as well as Mennonites, Eastern Orthodox, Reformed Presbyterians, Episcopalians and Roman Catholics. To recruit students, Christian colleges casting wider nets (reporting from York, Neb.). Second Front. Chronicle’s ‘Global South’ series honored by church press group. National. Touched by an angel at D.C. congregation (reporting from Washington). Inside Story. The true character of Nashville. Editorial.